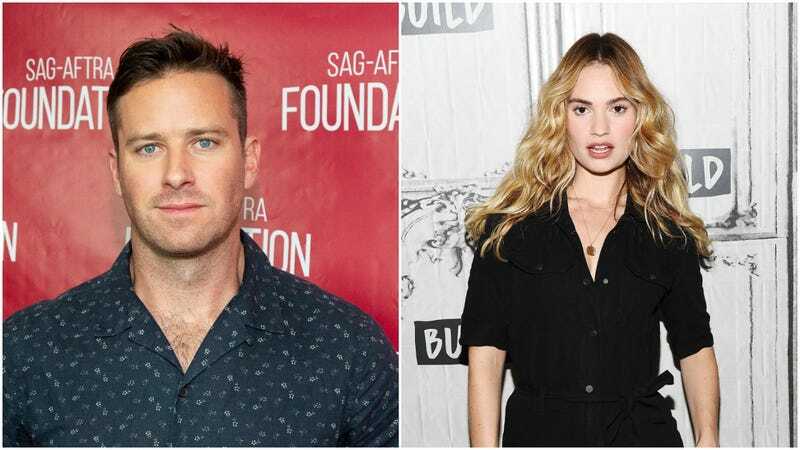 Armie Hammer (The Lone Ranger) and Lily James (Cinderella) are both veterans of the unnecessary remake game, having similarly spent their early careers retreading someone else’s more beloved and celebrated work. It’s fitting, then, that the two of them are gearing up for a remake of Rebecca, that classic story of personal envy, and also how all housekeepers are secretly sexually obsessive and evil. In any case, Tilda Swinton (or maybe Olivia Colman) as Mrs. Danvers, or GTFO.